It’s a dark chocolate sort of night over here. 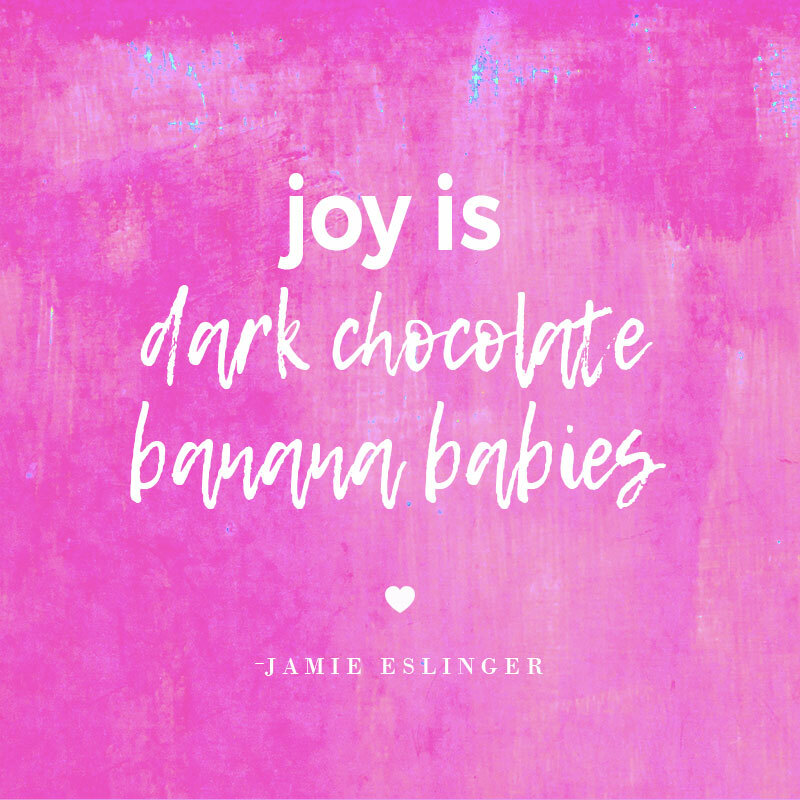 Good thing I have a supply of banana babies (dark chocolate of course)! They are only 130 calories and include no trans fat. 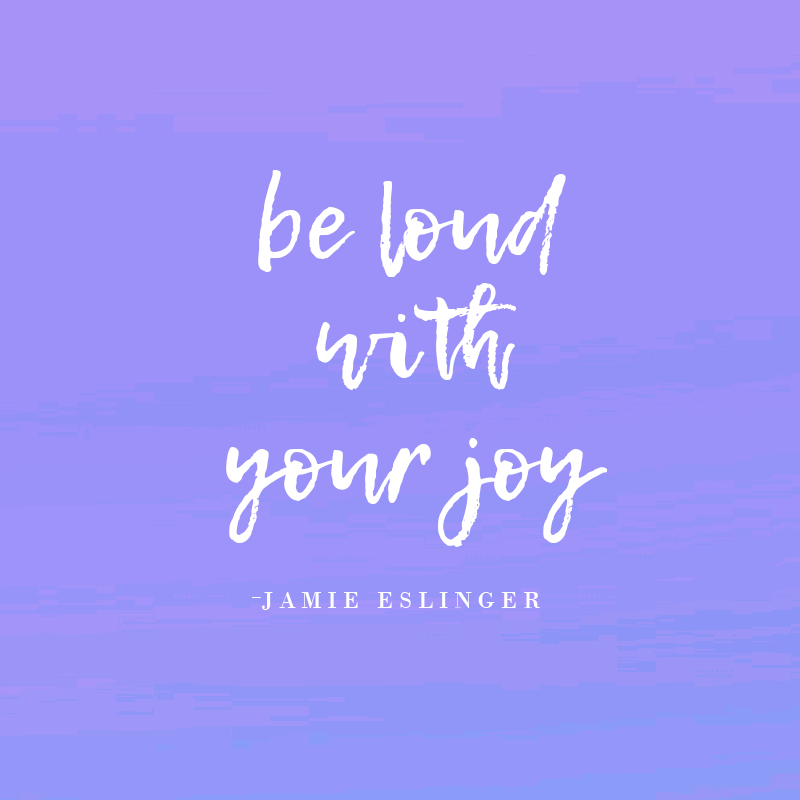 And if you ask me… that’s a recipe for joy! There has been a distinct theme to my last few weeks: sweetness. It seems to be all around me, especially in the form of dessert. Today, we rounded out the week with a pie. 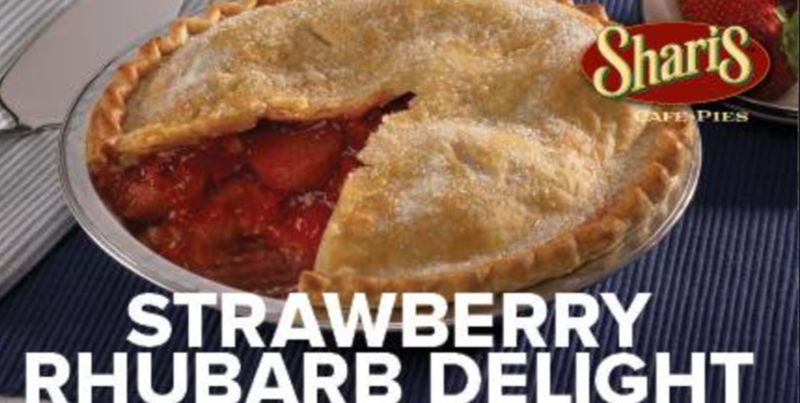 A Strawberry Rhubarb Pie from Shari’s. It looked like this (but tasted SO much better than this photo). It has me thinking about kindness and sweetness – and where they intersect. Maybe that’s what this year is all about? I’m sure I will find out more as the year unfolds. Until then… here’s to dessert! It’s summer! And the Garden is blooming. We pulled this out of The Garden today — an overflowing bowl of berries. We have so many, I’ve been looking for recipes to use them all up (before the berry bush produces even more!). So, here’s what I’ve found around Pinterest and the web. Enjoy! Need some sweets? Check out this list from Miss Martha. Check out these 41, yes count that – fourty one! – recipes for the dear rasp. Fine Cooking shares this sweet treat. It could be called Death By Molten Chocolate with a little rasp on the side. But, man, it looks good. This treat is so sweet, I totally “get it” in one second with just a glance at the photo. Good thing too, because the website is in Russian, or something I cannot decipher. But these rasps look good in any language! Day 300: it’s hot! hot! hot! And for the past few months (actually, most of this year!) I haven’t been downing my daily mochas in order to give up my addiction to sugar and caffeine — make that my 3-a-day mocha treats. But, today, in celebration of Day 300 (whoooo hoooo!) I found a new treat. It’s sugar free, caffeine free and full of that chocolate taste I adore. This afternoon while working over here at Women on Fire, I looked up at Debbie and said in my most stuffy headed, cough-y and sinus-y, sniff-ly voice: All I really want is a hot chocolate. Immediately she jumped up from her computer with a devilish grin and told me to stay put. She would be right back. 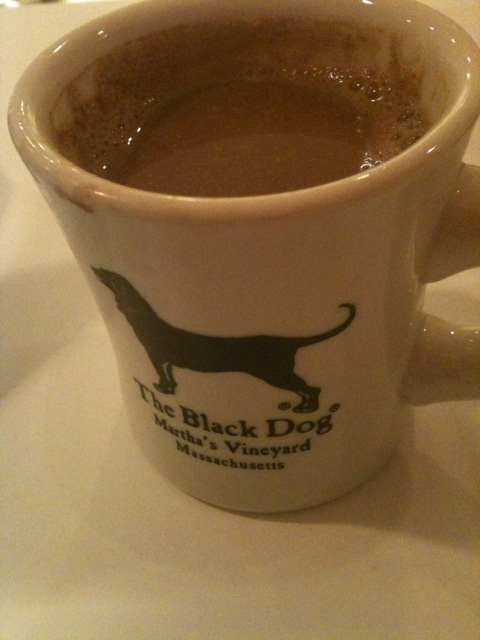 Upon her return she handed me a warm and yummy smelling hot chocolate. “What did you put in this?” I questioned her beaming face. The ingredient list was perfect — cocao powder, almond milk and just a splash of decaf coffee, enough to give it a little body without the zing. It’s the closest I’ve come to comfort food in taking care of my body and it’s food cravings. And, maybe, that was just what I needed to kick this cold. My breathing has already improved and this sinus infection seems to be better already. Maybe that is the power of comfort food? If chicken soup can be for the soul, why can’t hot chocolate be for the body? Either way, it was a hot! hot! hot! way to ring in Day 300.